LÖRDAG, 7 MAJ – kl 12-17. SÖNDAG, 8 MAJ – kl 12-16. MÅNDAG till FREDAG – Kl 12-14 och kvällsöppet kl 17-21. LÖRDAG och SÖNDAG kl 12-17. This exhibition is dedicated to the late Mamie Hyatt, art historian and curator. Mamie was an invaluable source of inspiration and guidance to Anders as he conceptualized the theme for this exhibition. curator. Mamie var en ovärderlig källa till inspiration och vägledning för Anders när han utvecklade sitt utställningskoncept. statement, just an outside interpretation using words or statements that came instantly to my mind, while spending a wonderful evening with Anders Lindholm. He starts with sketches, simple pen, pencil and splashes of color. Choppy wood created by the basic tools of life using a knife, saw and a hammer. Earth tones, black and white, two-dimensions, cutouts or sculptures. The theme is grief, but don’t take it literally. Black on one side with the opposite on the other. strung together with piano wire. the inspiration to create a new meaning. ”Divorce”, “Womb” are titles of pieces, painted in black to show the void. and you can navigate differently depending on memories. So the exhibition shows the both sides of life, the darkness and the color side. Using tools of nature, brushes, and a putty knife to share his emotions. that life is just dangerously whimsical toys. You could say it’s only child’s play, inspired by his children. which brought him to the evolution to ”Another day”. becomes part of the piece that is translated to “Notes”. and sadly that was the end of his love’s life. and not trying to find them. This is just his “Notes of life”. 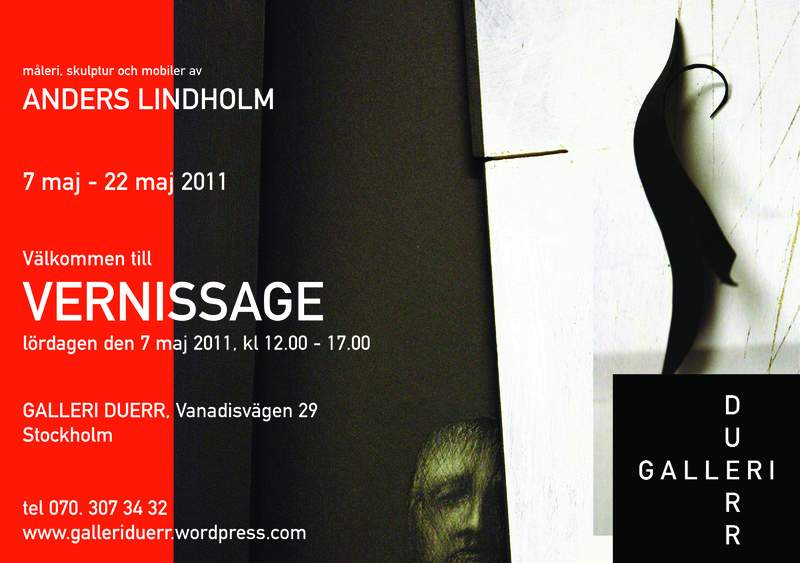 Next ANDERS LINDHOLM “NOTES” – latest news!